From our hot and humid summer season to our cool winters, the weather in our area can really challenge our comfort. It is important that you not only live comfortably in terms of temperature, but also that you breathe clean air in your home and have a reliable plumbing system. 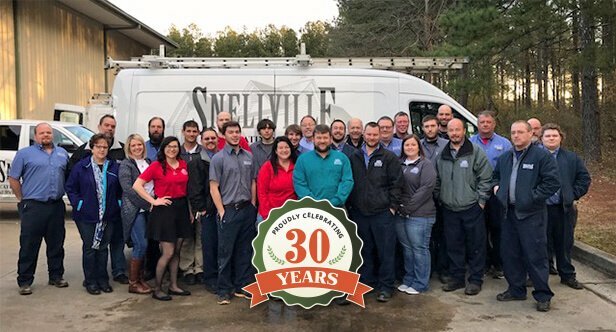 Schedule your HVAC and plumbing services in Snellville, GA with the NATE-certified HVAC service professionals and licensed plumbers at Snellville Heating, Air and Plumbing to do so. Why? Voted Best of Walton County for Heating, Air, and Plumbing Services for 8 years in a row. Active and current State of Georgia Heating and Air and Plumbing License. Our core values include integrity, accountability, and respect for others. Certified technicians on all major brands. With over 20 vehicles on the road, we are here and ready to help! 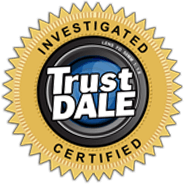 Learn why our price, quality, and service are all approved by Dale. Our HVAC services are comprehensive, covering the installation, maintenance, repair, and eventual replacement of your heating and air conditioning systems in Snellville, GA. We install and service a variety of HVAC systems, including heat pumps, ductless mini splits, furnaces, and split central air conditioners. We’ll help to keep you comfortable regardless of temperatures outside. There are plumbers, and then there are true service professionals. The plumbers on our team fall into the latter category. We offer 24/7 emergency service free of restrictions, because we know that sometimes plumbing issues cannot wait for regular business hours to resume. Let us know if you need a faucet leak repaired, or if your entire house requires repiping. Our Energy Savings Plan entitles you to discounted repair prices, priority emergency service, and the maintenance that your equipment needs in order to operate at peak performance and efficiency levels. Take advantage of our maintenance plan, and we’ll keep you informed about your systems’ condition with our open and honest communication. Don’t let minor issues cause major headaches!